You will notice it has 5 lines and 4 spaces between the 5 lines. Together they are a musical staff. Each of the lines and spaces represent different pitches (A, B, C, D, E, F, G). These pitches repeat over and over again in music. You can see this on the piano keyboard. Instead of adding more lines for all of the extra octaves of pitches we use symbols called clefs as a special decoder. A clefs purpose is to tell you the names of the lines and spaces on the staff. 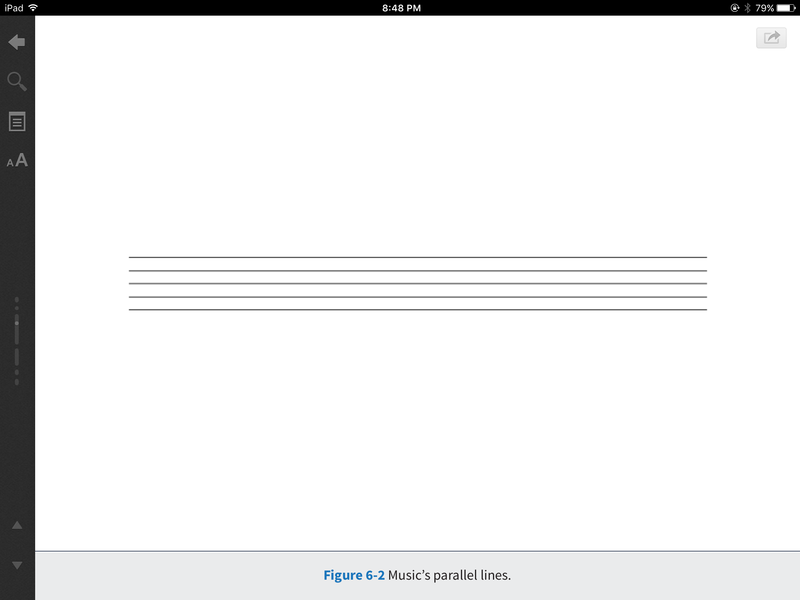 For each clef the pitches found on the lines and spaces change names. 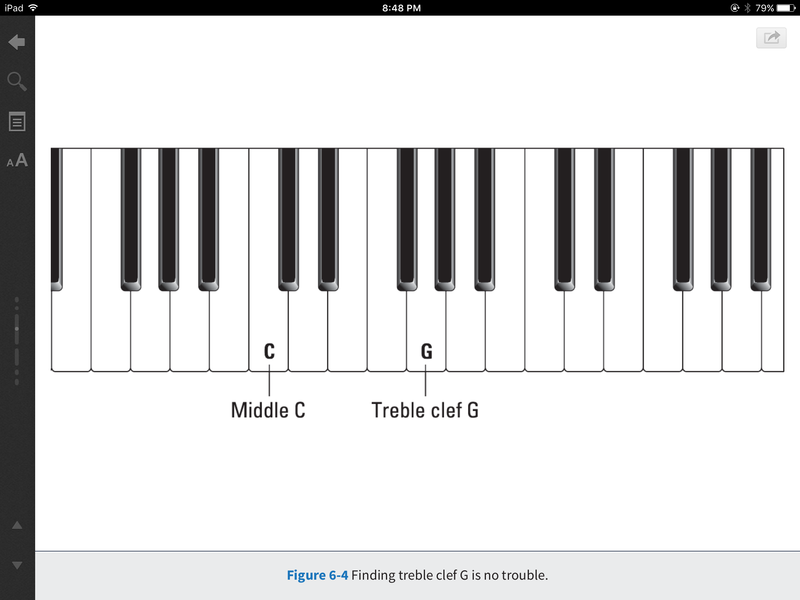 The treble clef shows notes that are of a higher pitch and played on the piano with the right hand. It use to look like a fancy G a long time ago and still does a little bit. 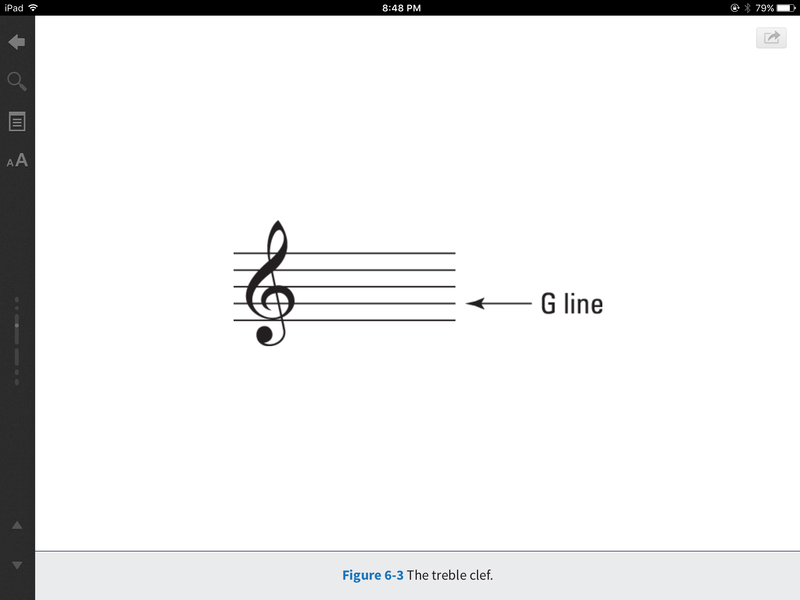 The pitch found on the second line is a G. That line goes through the circle portion of the Treble Clef. The G line that is circled isn’t just any old G but the G in the middle of the keyboard above middle C (see picture below). Once you found this G the other lines and spaces follow the alphabet. Go to a piano and put your right hand finger on the G above middle C. Now go up to the next white key to the right. Using our phrase for G stands for “Go back to the beginning of the Alphabet” that white key is an “A”. Continue up and down the keyboard and you will be playing the notes seen below. Your left hand usually plays the lower pitches on a piano keyboard. They are also called “bass notes”. The left hand gets it’s own clef. 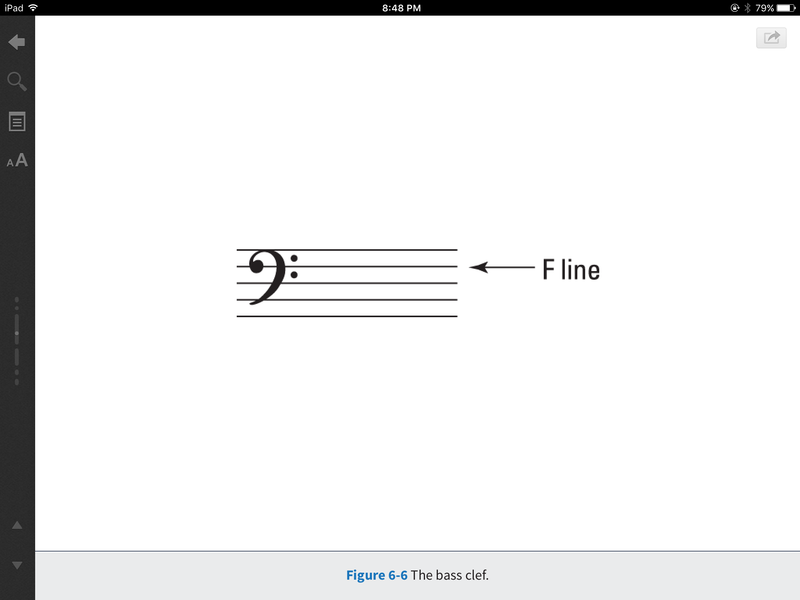 Just like the Treble Clef the Bass Clef highlights a particular pitch or note which is “F”. Music has several different clefs but for piano you only need two. The second one is a Bass Clef. It’s nickname is the F clef. It use to look like a fancy F a long time ago. 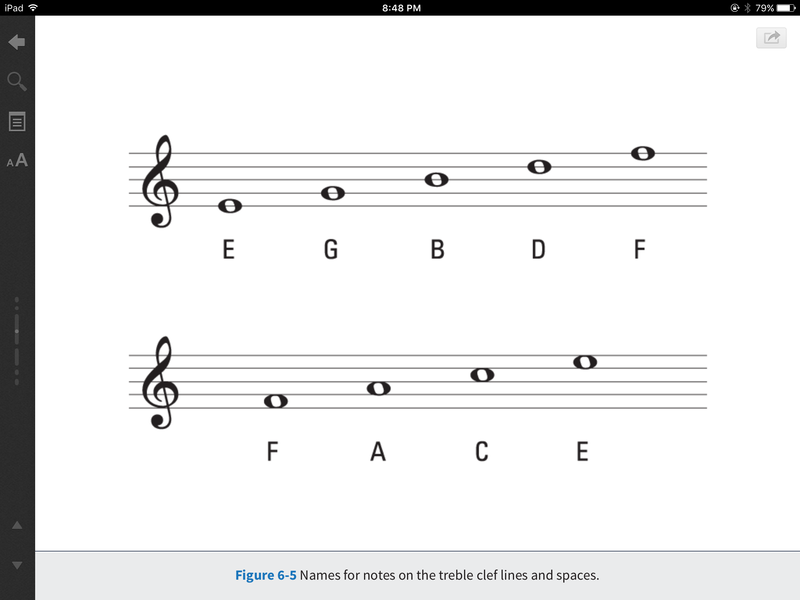 You will notice the 4th line is an F and it goes right between the two dots found on the clef. This “F” is the pitch found just below middle C.
Just as with the Treble Clef the pitches found around this F go in Alphabetical order up and down the piano keyboard. Notice that for both the Treble and Bass clefs the bottom space and top line have the same letter name. They are an octave apart. What are the black keys for? They are sharps and flats. A B-flat is the black key to the left of a B. And, a C-sharp it the black key to the right of the C white key. 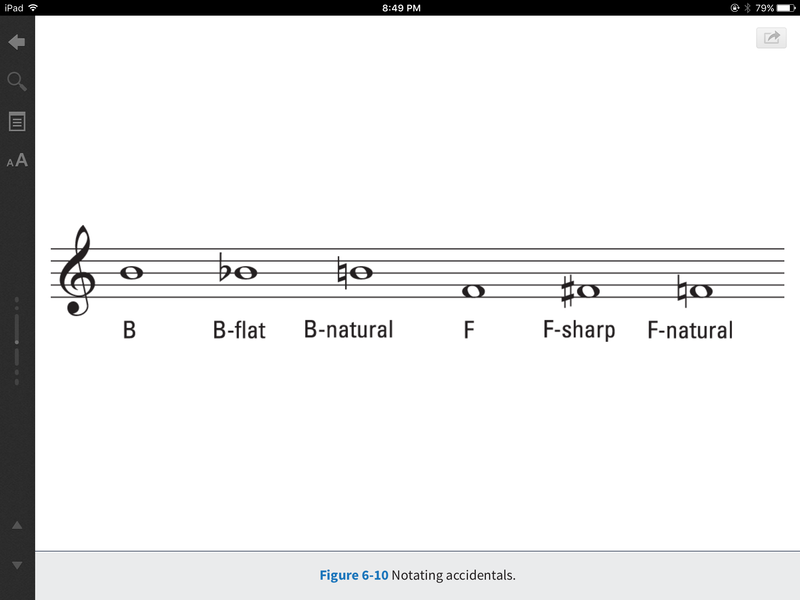 Remember that sharps make the pitch go higher and flats make the pitch lower. These are notated with an easy shorthand approach by adding ‘b’ and ‘#’ symbols in front of a given note name. The natural sign cancels any sharp or flat returning it to the original note or pitch.